An international team of highly qualified Pilates instructors with a wealth of experience. 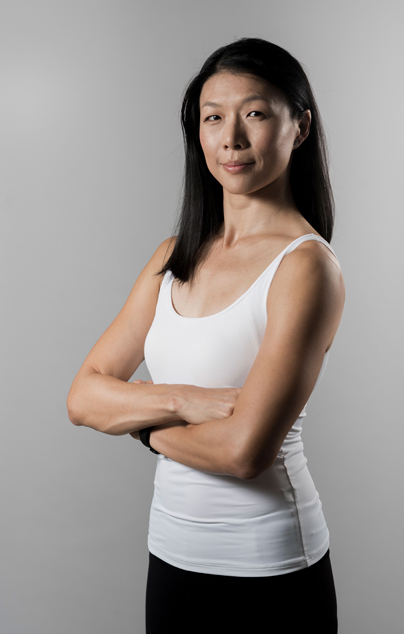 Deborah is a fully licensed medical doctor and avid dancer who first encountered Pilates more than 10 years ago. Pilates enabled Deborah to greatly improve her understanding of movement and reduce the lower back pain she suffered from due to mild scoliosis. Inspired to learn more and to share the benefit of Pilates with others, she decided to undergo Pilates instructor training and is a fully certified STOTT PILATES® instructor capable of teaching everyone, from the healthy to the injured and special populations. 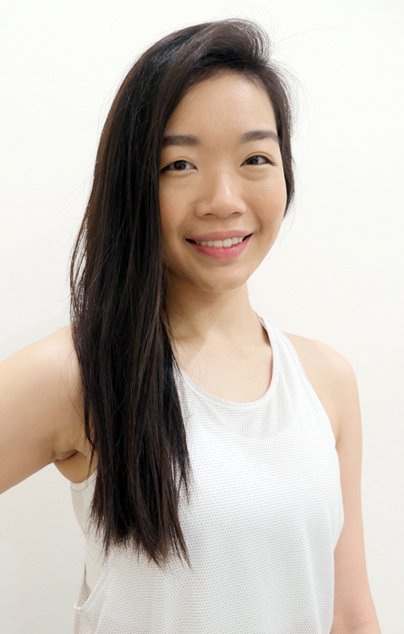 She has had extensive experience training under different instructors in Singapore, Sydney and Hong Kong and is also well-versed in ballet, tap and contemporary dance. Deborah is also a certified Level One AntiGravity® Fitness, qualified ZEN∙GA™ Instructor and Total Barre™ Trained Instructor. 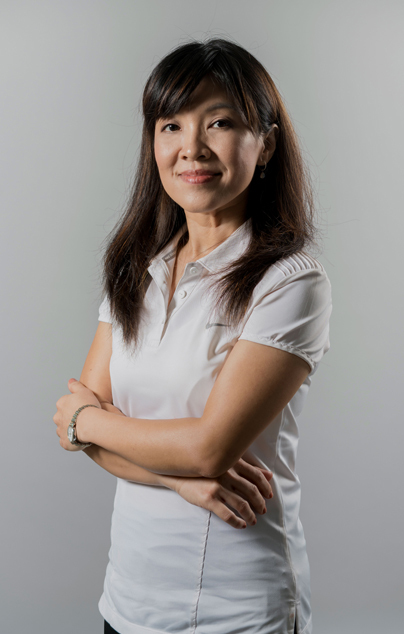 She is constantly pursuing continuing education to keep updated on latest exercise science and is has recently completed her training in Clinical Orthopedic Manual Therapy and hopes to integrate that into her approach for rehab clients. With a background in both movement and medicine, Deborah hopes to bridge the gap between movement and medicine and optimize wellness for her clients by integrating both. Thicha holds a Master Degree from Massachusetts Institute of Technology (M.I.T), Boston, USA. 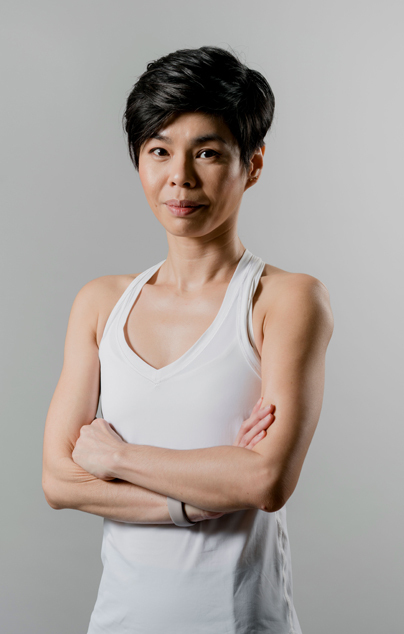 Thicha is a fully certified STOTT PILATES® level 1 & 2 in Mat and all apparatus, She is a STOTT PILATES® Lead Instructor Trainer, ZEN∙GA™ Instructor Trainer and TotalBarre™ Instructor Trainer. Thicha is also a 200-hour Yoga Alliance certified yoga practitioner, a certified GYROTONIC® and GYROKINESIS® Instructor. She is also fully certified in Polestar Pilates in all apparatus. 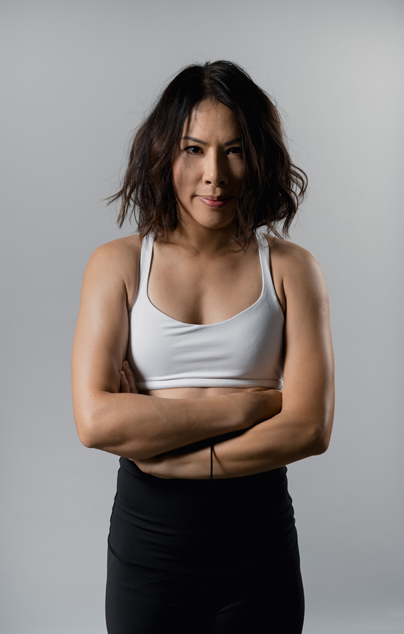 During her days as a student at Massachusetts Institute of Technology (M.I.T) and while juggling a dance career in Boston, Thicha discovered and embraced Pilates as a way to recover from a disc and ankle injury while improving and maintaining her overall muscle tone and flexibility all at once, staying healthy and injury-free. She immediately saw the potential and need to be able to help all population type develop healthy movement habits through positive motion. Thicha has been teaching Pilates for almost a decade now and her clients include an extensive range, from professional ballet dancers, Olympic medalists, Hollywood singers to rehabilitation-based clients. 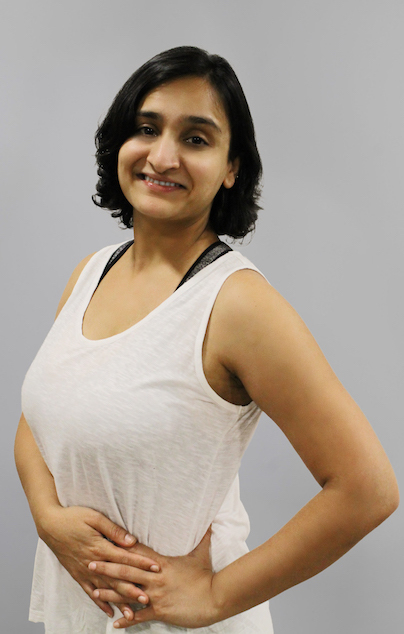 Thicha has a strong interest in helping her clients to achieve their goals and maintain a healthy and balanced lifestyle through various movement modalities. Over the past few years, Thicha has been more involved in teaching, mentoring and certifying new instructors in the STOTT PILATES® method. She feels empowered helping these new instructors utilise their skills to rehabilitate others. 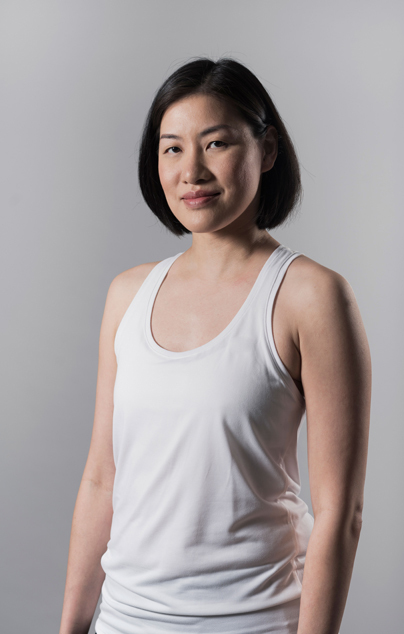 Sook Kuen (SK) was introduced to Pilates by her sister after she consulted her on her scoliosis problem, which was causing her to experience bad knee pain. She was soon being put on a program and indeed that was a life-changing experience for her! It was not too long before SK discovered her new passion and was amazed by the benefits that Pilates had brought about for her. Since then, there was no looking back and Pilates had become an important part of her life. In her quest to share the many great benefits of Pilates with others, SK gave up her rising career in the corporate world and decided to pursue her new passion – Pilates. She obtained her Pilates certification from STOTT PILATES® and Pre and Postnatal Pilates Specialist certification certified by The Centre for Women’s Fitness and now hopes to share with many others the wonderful benefits that Pilates can bring about for everyone! Movement and dance has been Susanne’s passion ever since she attended ballet classes as a young girl. Trained as a senior nurse in Orthopedic and Accident Surgery, Orthopedic rehabilitation and Obstetrics, she started teaching Pilates and Argentine Tango after the birth of her son. While on relocation with her husband in Freiberg, Germany, she started her own Pilates studio and fashion boutique. With a wealth of knowledge in movement, anatomy and physiology, Susanne is able to develop programs that cater towards their needs and goal. Her love for movement and music helps clients to learn functional movement patterns for their daily life in a joyful and inspiring atmosphere. Susanne currently hold certificates in STOTT PILATES® Level 1 and 2, GYROTONIC® and GYROKINESIS® Methods and specialist Workshops, STOTT PILATES® Injuries & Special populations, PAI and STOTT PILATES® Rehab Course, Myofascial Release Techniques and The System of Smart Movement. She is a fully certified Women’s Health Pilates Specialist by Carolyne Sidhu Anthony and a faculty member for the Centre for Women’s Fitness. She is also trained in Clinical Orthopedical Manual Therapy, Bones for Life Applied Feldenkrais Techniques and a certified Precision Nutrition Level 1 Coach. Julie is from Korea and moved to Singapore eight years ago. Always in search for an activity that instills a healthy, active lifestyle, Julie discovered Pilates and immediately fell in love with its challenge – an elegant movement that combines body-awareness, core-strength, and rehabilitative qualities. Julie decided to become an instructor to share the benefits of Pilates with others. 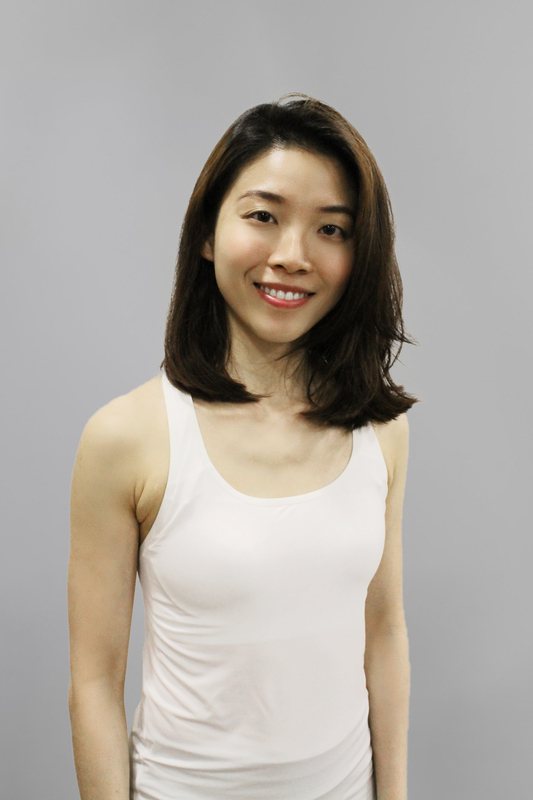 She is trained in both Korea and Singapore and a certified STOTT PILATES® instructor. Her goal is to conduct relaxed yet challenging classes that are enjoyable for students of all levels. 8년 전 한국에서싱가폴로 건너온 후건강하고 활동적인라이프 스타일을추구하고자 여러운동을 경험하던 중필라테스의우아하고도 챌런징한근력 운동의 매력에빠지게 되었습니다. 호흡을 통한코어근육의 단련과재활에도 탁월한운동인 필라테스는연령과 부상여부에 상관없이 모두가 즐길수 있는 운동입니다. 저는 한국과싱가폴에서 강사트레이닝 과정을거쳤으며 스탓필라테스 강사자격증을 보유하고있습니다. 영어와한국어로 수업을진행중이며 개개인의 레벨에 맞게 누구나안전하고 즐겁게운동할 수 있도록프로그램 하고있습니다. Dance has always been part of Daisy’s growing up years. Apart from being a medium of expression for her, it was also a form of cardiovascular fitness which she preferred as opposed to regular jogging. Her exposure to fitness and Pilates started after suffering from shoulder and lower back pain after childbirth. After witnessing how Pilates could allow how to be pain free and inspired by fitness professionals, she decided to undergo Fletcher Pilates matwork, Pilates Academy International Reformer and personal training (ACE) certification. Previously a personal trainer at SICC, Daisy left to join Breathe as she wanted to focus more on Pilates and rehabilitation. She derives satisfaction from seeing her clients become passionate about fitness and Pilates as she believes fitness and wellness makes a huge difference in our lives. She hopes to always inspire people to exercise well through good training, dance and Pilates. Rohini started teaching Pilates over 6 years ago in Melbourne, where she began her teaching career after training with STOTT PILATES. She was drawn toward Rehabilitation Pilates and the specificity Pilates exercises provide for a wide range of injuries and conditions. Her interest in helping people achieve their goals to return to sport or their daily functional activities after an injury or surgery saw her train to become a Rehabilitation Pilates Trainer . She is a certified STOTT PILATES and Total BARRE Instructor, Rehabilitation Pilates Trainer, and has a Certificate IV in Fitness from Fitness Australia. 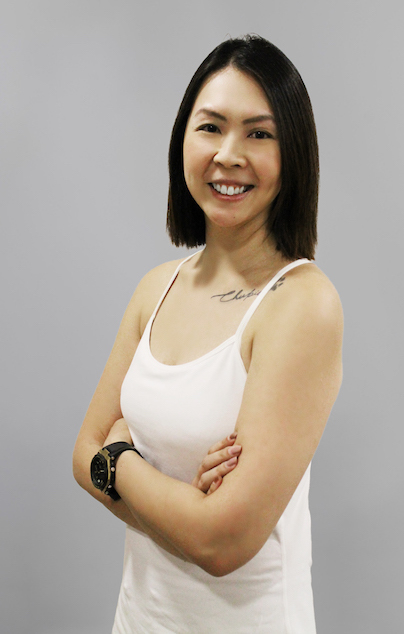 Before moving to Singapore, she worked as a Physio Assistant in Melbourne, working along side a team of Physiotherapists to deliver relevant exercise programs in a Clinical setting. In her past life, she used to be a Communications professional, working in Public Relations, Corporate Communications and Corporate Social Responsibility roles. Rachel specialises in pain management for tension headaches, neck, shoulder, lower back, hip and knee pain. Previously a finance professional and avid dancer, her interest in human science eventually led her to leave her comfort zone, seeking new inspiration in the health and wellness industry. Having suffered chronic pain for more than a decade, she understands the benefit and value in living a pain-free life. She aspires and strives to provide a solution to those who suffer from constant pains and aches, bringing quality back into their lives. Rachel wears multiple hats and on top of being a certified STOTT PILATES® Instructor, she is also a ACE Personal Trainer, Sports Massage Therapist, Nutrition Coach and trained Craniosacral Therapist. 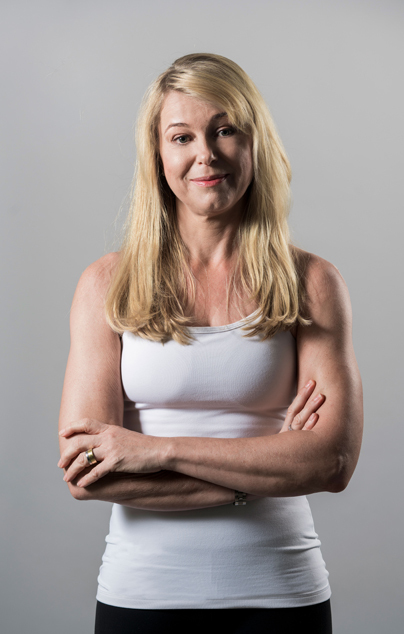 With years of experience in the rehabilitation and fitness industry, she has helped clients with scoliosis, disc herniation/degeneration, sciatica, shoulder impingement, frozen shoulder, tennis elbow, carpal tunnel syndrome, osteoarthritis, patellofemoral syndrome and numerous other conditions to get better. Sash is a fully certified Pilates instructor with the Pilates Method Alliance. He has 8 years of teaching experience and specialises in pre and post natal Pilates, Rehabilitation and Geriatrics care. Always keen to learn and keep in touch with the latest developments in the Pilates industry, Sash has attended workshops held by second-generation master instructors Patricia Guyton, Jay Grimes and Alan Herdman and he believes it is a privilege to learn the original principles Pilates was based on. Sash believes that Pilates is a great exercise system for regaining strength, rehabilitation, injury prevention and developing body awareness. His classes are always challenging and fun and there is never a dull moment with him around. The desire to return to the ballet studio after having stopped dancing for many years led Dorothy to Pilates to strengthen her core and awaken the mobility in her limbs. Pilates became her staple exercise regime, as she found that it helped her perform better in the various sports she did, and improved her body awareness in daily movement and various physical activities. Dorothy found herself drawn into Pilates and left the corporate world to pursue Pilates teacher training. She is certified in STOTT PILATES® Level 1 and Level 2, and also holds certifications in Pre & Postnatal Pilates Specialist from The Center for Women’s Fitness, TRX Suspension Training, Myofascial Trigger Point Release Therapy, WeBarre. As an instructor, she draws inspiration from a background in dance and sports, to share the functionality and beauty of Pilates and movement. Angeline has a keen interest in healthy living and over the years developed a great passion for Pilates. What started as a simple back pain turned into a chronic problem and she discovered that Pilates was the most effective way to improving her condition. It is a mind body regime that is stimulating, comforting and produces results. This inspired her to pursue certification to share the benefit of her practice with others. She is certified in STOTT PILATES®, the GYROTONIC® method,TRX®, Pre-post Natal Pilates and Myofascial Release Techniques by Carolyne Anthony founder of Centre for Women’s Fitness. Angeline is also mother of two, holds a BBA, is an avid traveler and photographer. Kerstin is a licensed medical nurse by education, specialized in Anesthesia and Intensive Care in Germany. She first encounted Pilates about 10 years ago during her stay in India. Moving into teaching, Kerstin is a certified STOTT PILATES® and Pilates Academy International (PAI) instructor. Since then, she has also worked with many clients, some of whom have special conditions (e.g. back, foot, or shoulder injuries), assisting them in post-rehabilitation. Kerstin teaches Pilates with the goal of a good workout and having fun. On top of being a Pilates instructor, she is also well versed in Clinical Orthopedic Manual Therapy, Myofascial Compression Techniques and also holds various certificates from the Center for Women Fitness in Pilates for Scoliosis, Myofascial Release Techniques, Pilates for Menopause, Pelvic Floor Health & Dysfunction, and Breast Cancer Post-Rehab. building strength, allowing her to remain pain free. gain benefits as she had done for herself. Betsy was a school gymnast and dancer during her teen days, and suffered numerous sprains and injuries during those years. Since entering the workforce as an Architectural Designer, long hours sitting on her desk ended up with her having postural problems and upper back pain. Being non-athletic for many years since after school days, she saw the need to condition and build strength to enhance daily activities. She then began Pilates training, and felt an immediate benefit just after a couple of lessons. This has inspired her to pursue her instructor certification and she now holds an instructor certification from STOTT PILATES®. Other than Pilates, Betsy is passionate about healthy and holistic living and beauty, and is also a gym enthusiast and avid runner doing both short and long distance running training. She believes in empowering her clients to integrate the Pilates method into other daily activities and sports and helps clients achieve fitness goals and work towards increasing body awareness, flexibility, strength and stability in a safe environment. 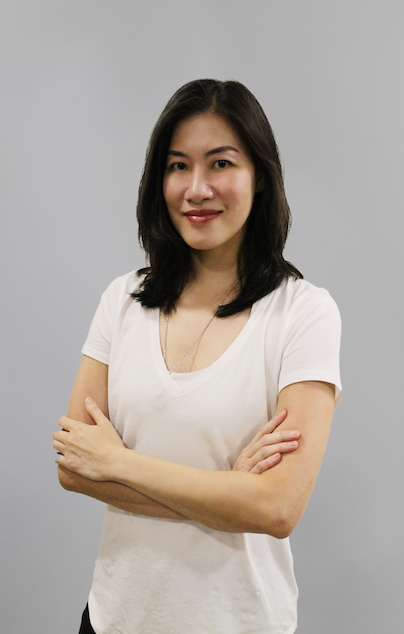 Joyce was first exposed to Pilates during her previous career in research and marketing in Singapore. At the time, she suffered from chronic backaches due to scoliosis exacerbated by poor posture. All it took was one session of Pilates to convince her of the efficiency of the exercises, and since then she’s been hooked and living pain-free! Applying the principles learnt in the studio to everyday life further introduced a great sense of well-being and control to her life. This convinced her to pursue a full-time career as a Pilates instructor, so she could share her passion with friends and clients. 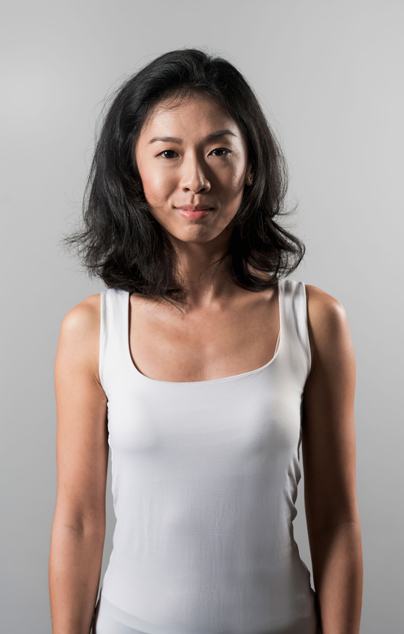 Joyce is a certified STOTT PILATES® instructor and spent the last three years living and teaching in Indonesia. She has experience teaching clients of all ages and fitness levels. She loves science fiction, the outdoors and regularly scuba dives, hikes, and plays tennis. She tells anyone who will listen how Pilates can complement and improve their game – whatever their game may be! Growing up, Charlene spent a lot of time in sports and dance. She was always up for trying out a new activity but when she started pouring her life into work, she didn’t make time for much activities and her fitness level took a dive. After having her son, she was reminded how important fitness is to her mind and body, and how good it always made her feel! So she quit the corporate lifestyle and delved straight into the STOTT Pilates training. Today, Charlene is fully trained in the STOTT Pilates level 1 repertoire. She is also a Total Barre instructor. Pilates has helped Charlene gain more than just core strength, it has helped balance her well being. She wishes to help others find that ‘neutral’ in their lives. Gemhl’s journey into Pilates started in 2011, while she was searching for a way to relieve her chronic shoulder ache caused by sitting for long hours in front of a computer, working as a marketing executive. She sought many therapies including acupuncture and regular massages, but they only brought temporary relief. The pain and stiffness in her shoulders gradually got worse, and would sometimes even lead to numbness in her hands. After Gemhl started Pilates, her shoulders quickly started feeling more relaxed, and the pain gradually went away. As a bonus, she walked out of each Pilates session feeling much lighter and taller, and found that her posture, breathing and energy levels also improved. Gemhl benefited so much from Pilates that she decided to begin training as a Pilates instructor while still working full-time in the corporate sector. Today, Gemhl is a Certified STOTT PILATES® instructor with various certifications from The Center for Women’s Fitness, including Pre & Post-natal Pilates Specialization and Diastasis Recti Recovery. In her free time, she enjoys cooking healthy plant-based meals, practicing yoga and going for nature walks. 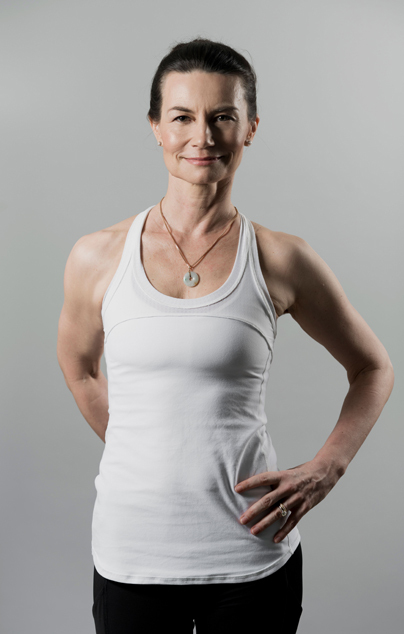 Sandra is a level II STOTT Pilates® Certified Instructor and former owner of Breathe Pilates Studios. She had her first exposure to Pilates at the age of 17 when she took lessons at STOTT Pilates Headquaters in Toronto to rehab from dance injuries. Since then, she has always known that Pilates will be in her life in some ways. Sandra shares her natural enthusiasm for movement and attention to form in her group classes and private sessions. Clients can expect a thorough yet fun approach to their practice while they improve body awareness, confidence, and strength. With her nutrition and biotechnoligy background, Sandra is a firm believer that food and wellness go hand in hand in making clients feel their personal best. 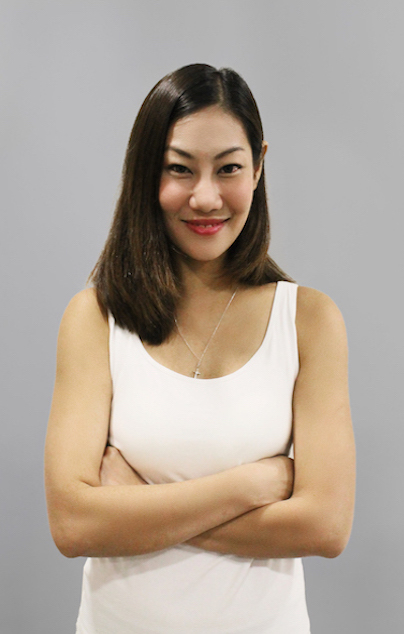 Sandra is also a certified living foods chef and consultant for wellness programs around Asia. Alicia played multiple sports growing up but after entering the workforce, exercise took a back seat. Chronic aches and chest pains led her to try various workouts to break out of the sedentary lifestyle and prioritise health. She decided to direct her focus on Pilates for injury rehabilitation following a fall, at the recommendation of her physiologist. After a few sessions, she noticed an increase in body and postural awareness, resulting in better alignment and execution of each exercise, and less pain! Pilates became not just another exercise routine, but a passion that led Alicia to quit her career in marketing to dive into Pilates instructor training. She is now a STOTT PILATES(R) Trained Instructor in Level 1 & 2. Alicia aims to evangelise the many benefits of Pilates and principles that clients can bring from the studio into other aspects of their daily lives and fitness journeys, through a fun and motivating environment.